Medical practices around the world are facing tough financial times. As doctors serve an ever-increasing number of patients and healthcare claims come under intense scrutiny, the ever-increasing paperwork and frequently changing laws ensure compliance issues are always at the forefront of the challenges being faced by a medical practice. Out of all these challenges, research suggests that revamping the healthcare claims denial management process is one of the top things on the minds of healthcare CFO's. At the end of the day, effective denial management can not only provide a boost to your organization's revenue stream and collections rate, but also improve overall patient satisfaction. Unfortunately, claims denials by insurers are very common in the healthcare industry, and lead to medical offices losing a large chunk of revenue if the denials are not followed up by frequent appeals. Given the fact that more than 30% of the healthcare claims are denied on first submission, it becomes critical to improve denial management! In fact, 60% of these claims are never re-submitted again, mostly because of the busy nature of work at a medical practice. This in turn results in the practice never getting paid for its services, a harmful habit which in many cases has resulted in smaller practices even going bankrupt! Before taking steps to streamline your denial management process, you should first ascertain why the claims were denied in the first place. Not all patients are knowledgeable enough when it comes to the insurance denial system, and educating them to file a claim properly can help in solving this issue. The ideal way to minimize claims denials is to monitor your claims submission reports regularly, or designate professional staff to take care of it. You should also have a manager assigned to keep track of the fee schedule of each insurance carrier, since many times even if your practice is getting paid, you might be getting overpaid or underpaid. Practices around the globe have seen a significant decrease in denials after implementing an electronic health record system which can verify patient eligibility in real-time. As the eligibility can be confirmed much before the patients' first appointment, healthcare practices get more time to get their insurance coverage related questions cleared up. With an EHR system, one can also quickly track the reason in case of a claims denial and immediately file and appeal, as well as contact patients whose insurance has been terminated to take up the matter on their own. Claims denial logs can make you become more proactive to reacting to denials from insurance companies, especially if your denials rate is too high. You can not only pinpoint how many denials you chased after, but also make sure mistakes made previously never occur again. Medium to large healthcare practices with enough resources on their hand can ensure that a single biller handles only one insurance carrier and all claims related to them at one time. This not only creates less confusion, but also makes your billers the subject-matter expert for that particular insurance carrier. Each insurance carrier has its own restrictions and what it considers as a bundled service; as well have their own unique process for filing appeals. Some may take appeals over a phone, whereas others may need the appeal to be in writing. If your biller knows the insurance carriers processes properly, it might be easier for them to file the correct appeal. The backbone of a successful denial management process is the ability of your practice to be able to handle claims properly and resubmit an appeal in double quick time. Your set process should be fast and reactive enough to file an appeal within a week of the denial being received. To set up the perfect workflow, you need to establish that you can track your claims as soon as they leave or re-enter your tracking system. Since many insurance carriers have their own set windows within which practices can file appeals, this would allow you time to prepare a valid case before filing an appeal. More often than not, healthcare practices find that the claims being denied follow a particular trend. Each denial on its own might not be able to tell a whole story, but by observing trends, you can set a more efficient system in place which would help you prevent similar frequent denials from occurring. Denial management is no easy task, and by observing trends, you can not only safeguard your present, but be battle-ready for trends which might arise in the future. Claims-related Alerts: Your system should be able to automatically alert the people in-charge for events such as denied claims, claim resubmissions, track dates, etc. O2I is an expert healthcare BPO company and has been a leading service provider for global healthcare organizations and healthcare practitioners for the past 20 years. We specialize in healthcare revenue cycle services, and offer our high-quality expertise in medical billing and coding and denial management at cost-effective rates. We use specialized teams that are extensively trained to work with and navigate the complexities of the modern-day medical insurance system. By choosing to partner with us, not only will your revenue stream see a significant positive impact, but also boost your customer satisfaction ratios. 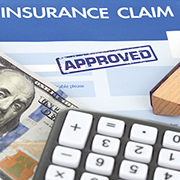 Contact us right away and benefit from our claims processing experience!